Through the Community Foundation, you have the opportunity to custom-design your own named fund that will fulfill your charitable objectives. You also can support any of the existing funds within our organization. Please review the many benefits and choices available to you by clicking on the topics on this page. If you would like to discuss the possibility of creating your own charitable fund, please contact us. We hope you will contact us if you have questions or wish additional information. 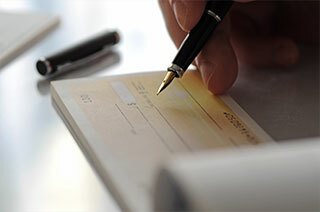 It is important to us that your experience in charitable giving will be a pleasant and rewarding one. All contributions to the Community Foundation fulfill charitable purposes. No gift is used to defray the operating expenses of our organization unless a donor designates his or her gift for placement in our Administrative Endowment Fund. And then, only the income earned by the investment of gifts placed in that fund supports administrative expenses. Any administrative fee charged to a Foundation fund is deducted from the income earned by that fund. Thus, the original value of each contribution to our organization is safeguarded for charitable needs. Please contact the Foundation office for a copy of our Annual Audit or Gift Acceptance Policies. You may view our recent IRS 990s by visiting GuideStar. Finally, a schedule of our administrative and investment fees is available upon request.